The signature cut of Royal Asscher, the inimitable, patent protected Royal Asscher Cut is considered to be one of the most beautiful diamond cuts ever created in Amsterdam, by the Dutch Asscher family. 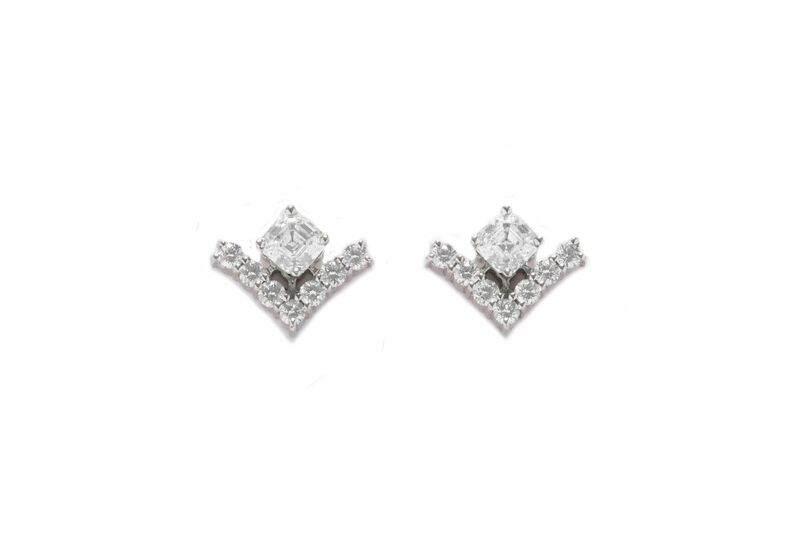 This set of 18 Karat white gold ear jackets are set with each a single Royal Asscher Cut diamond totaling 0.42ct per pair and have a G-color and VS1-quality. 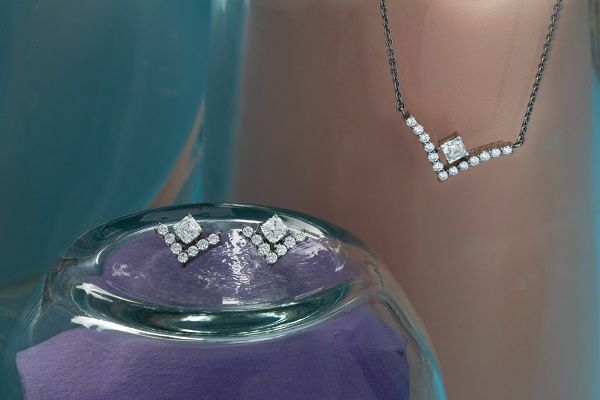 The earrings can be worn with or without the ear jacket, each set with seven brilliant cut diamonds.